No longer do all chair buyers merely slavishly buy whatever chairs match their table. Today, buyers like to flaunt their individuality with various attractive and distinctive designs, of which Furniture UK has plenty. We have a wide choice of best dining chairs to suit your every mood, including those that actually do match your table! We generally sell our chairs in pairs, so you are free to make any choice you fancy. 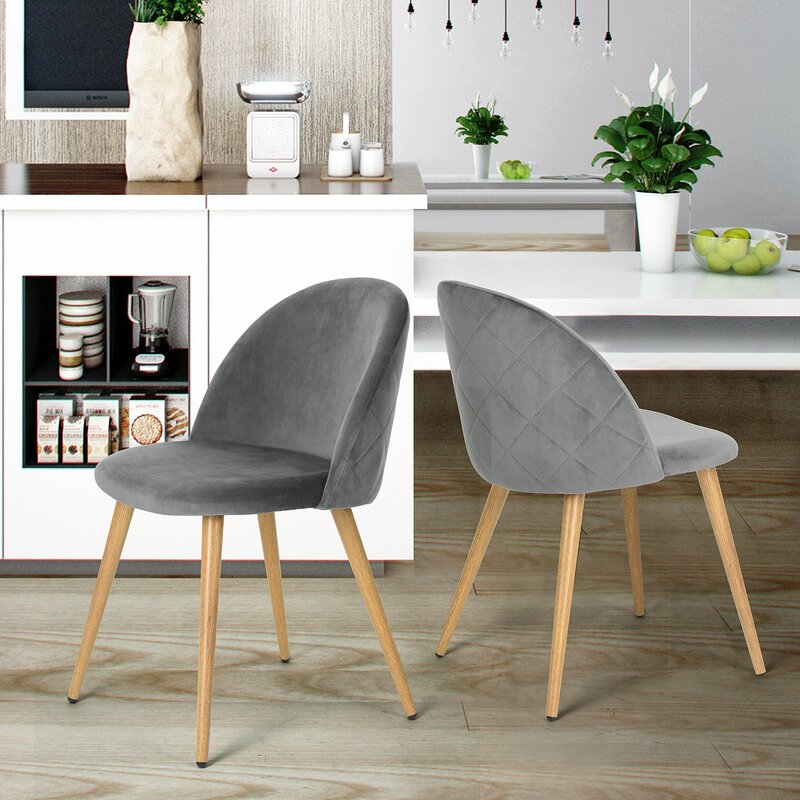 A wide range of dining chairs are available these days, including those that are upholstered, padded, leather, or made out of wood such as pine, redwood, acacia, oak or fruitwoods. If you are searching for chairs that are consistent in terms of their design or color, you can take one of several approaches. You could choose chairs with a matching wood to that of the table; match your tables and chairs on the basis of common design elements such as tapered legs; or choose square shaped seats on your chairs if you have a square table, and ditto with circular or rectangular tables. The chosen chair’s dimensions are always important as somebody will have to be able to sit on them comfortably. We recommend that you choose a chair between 20 and 24 inches wide for the most comfort, and you should not really have chairs that are narrower than 17 inches wide. It is of course also vital that your chairs can easily fit around, and slide underneath, their accompanying table. 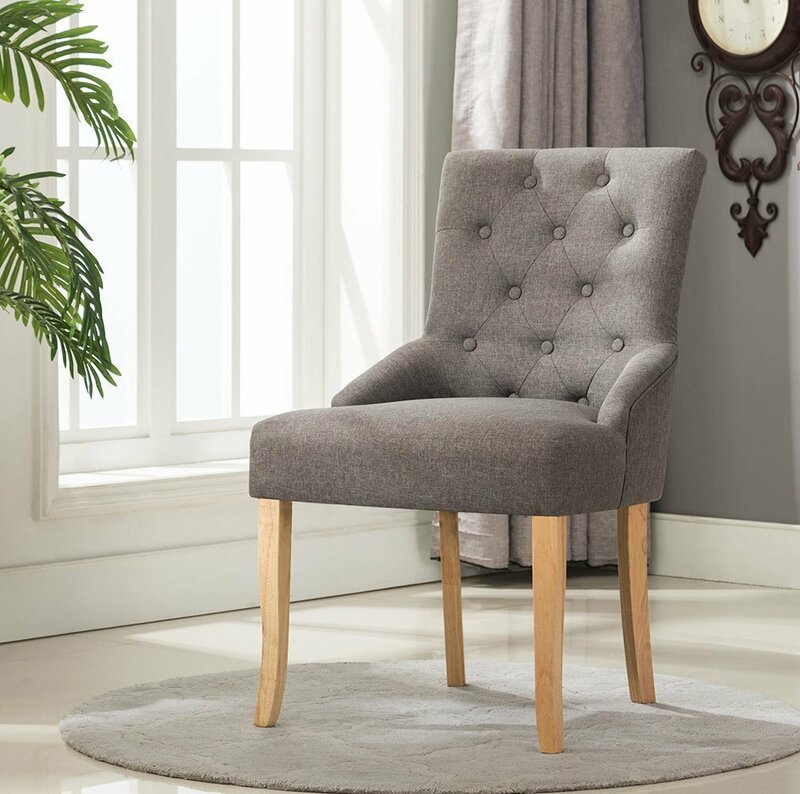 Low backed chairs are great for creating a more informal and relaxed mood, while tall-backed chairs have a more dramatic appearance. A dining chair is traditionally 18 or 19 inches tall. Remember to make a note of your table’s height so that there is enough space to slide your new chair beneath the table with somebody sitting on it! We recommend a 12-inch gap between the top of the table and the seat of the chair. It is not as easy to grip and move a chair that has a covered back as one which has a slatted back. The latter type is, therefore, a better choice for children or those with mobility difficulties. It is vital that the chairs you choose can be maintained affordably. It is easy to wipe clean wooden and leather chairs as well as those with woven seats, which may make them preferable to a fabric covered seat for those who have children. A stain guard could be used to protect luxurious fabric upholstery from likely spillages. Leather dining chairs develop a finished look over time and are a highly robust choice of chair. Leather dining chairs are more affordable than you might think, and are also very durable. They are also easy to clean and even maneuver, due to their lack of bulk. They come with both upholstered and padded seats, are sturdy and provide great levels of comfort. They come in many great designs and shades, which help to add attraction to every dining room. Hard-wearing leather dining chairs can also resist many different types of stains in addition to food and drink spillages. Wooden dining chairs are sturdy and if cared for, yours should be around for generations to come. They are a highly portable and flexible choice of chair. Their seat shape helps to make them very comfortable, and Furniture UK sells a variety of designs, from intricate backs to more modern styles. Wooden chairs add plenty of character to a room.